Parenting is a hard job. You have to be the child’s adviser and at the same time his or her best friend. Other than that, you think of your kid’s wellbeing from the clothes he or she wears to the food they eat daily. But what happens when your kid starts disobeying you? You will need to start adjusting to new routines and the next step is to accept the changes in your daily life and you, as a parent, should start growing up as well. As young as your kid can be, there are certain ways of becoming a good parent. One of which is giving them the right motivation. Yes, you gave birth to your child and it’s innate to think that you know more than them. But one of your many roles as a parent is to guide your kid to a better and independent life. It is your job as a parent to inform them the difference between right and wrong. But kids these days think they have the life of their own. A good parent knows when to be in command. It’s not all about giving them orders, rather giving your kid options so he or she thinks for himself. You should first think of your child’s safety and let your kid know about the importance of having a good night’s sleep. Eating vegetables. They learn this in school and it is your job to keep on reminding them about proper food intake. Proper etiquette. It is your job as a parent to inform them about good morals and how to handle themselves privately and in public. Taking a bath. Your kid needs to know the importance of proper hygiene. Being a parent means taking time off for yourself, meaning your child’s safety is the priority. You should always plan your day. The tip is to be organized and not forget about the little things that may possibly harm your child. You should always think of what you can do to make your child’s life better. 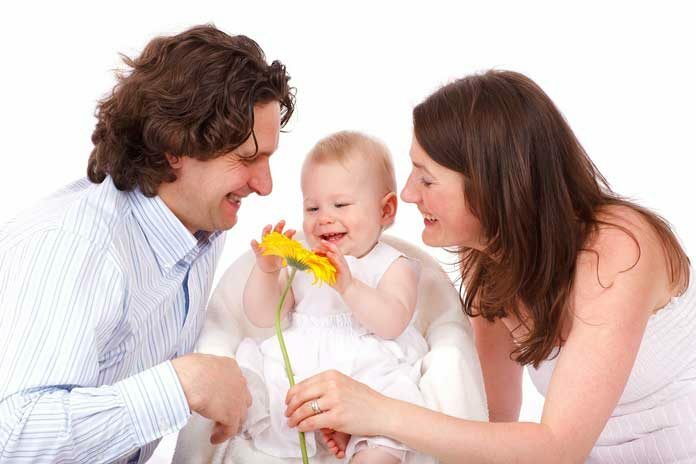 As parents, your main goal is to secure a healthy and successful life of your kid. Just like any other jobs, you should keep on rating yourself to be aware of improvements and changes you might need to make. As a parent, it’s instinct to know more than your children. But that’s not always the case: with the changes in today’s time, modernization can sometimes take you back. Always remember than asking you kid questions is perfectly natural as long that they won’t feel superior over you. The modern lifestyle creates a stipulation that everyone can be in control. In the age of social media and the internet, communication can be done in an instant. As parents, it is your job to inform them about the precautions of sharing too much because social media doesn’t mean, you have to reveal your entirety, rather thinking before you click. You carried your child inside your body for nine months, so it’s natural to know every bone in their body. This is with saying that even if your kids sometimes consider other people’s opinion; the more you should let them know that you got their back and your opinion matters. At the end of the day, you should be in control. Your kid will eventually grow up, go to college, pursue their desired careers, and if hopeful, get married and have a family of their own. While in their childhood, cherish those moments because when they start having a mind of their own, they will not be there all the time. So, growing up together with them is essential because everyone should always find ways to discover new things and become the captains of their own ships. This also includes learning how to move on from their childhood to them being adults. It is your job as a parent to secure that your kid will become a valuable member of the society. So make sure your kid is guided accordingly. So raise them to become conscientious, capable, and disciplined. In conclusion, do not let the hardships of parenting be a hindrance to helping you child become the best version of himself. Be there for them and always remember that you are in control. Furthermore, as parents, it is your job to be knowledgeable of how the world changes and being adaptable to these changes.